Like many observers, I have criticized Deontay Wilder for the quality of his opposition. He has been a professional since 2008 and fought nearly 40 times. His record looks amazing on paper–38-0 with 37 KOs. But just one of those bouts was against a top-10 contender. In January 2015 he defeated Bermane Stiverne by unanimous decisions, to capture a the WBC belt. And Stiverne’s status rested entirely upon two wins over Chris Arreola. The belt was, and is, a trinket with little true worth as a world title. Stiverne did deserve top-10 status at the time and Wilder’s win over him was a good one. But he has done nothing substantial since–he’s knocked out a washed-up Arreola, an untested Gerald Washington and second-tier contenders Artur Szpilka, Johann Duhaupas and Eric Molina. There is only so much blame that Wilder should take for this, of course. Last year he was all set to face Alexander Povetkin–a true, top-level contender. But Povetkin failed a PED test and the fight was called off. That sad story replayed itself last week, when Luis Ortiz, who was set to face Wilder on November 4, failed a VADA test. Once again, Wilder had a truly meaningful fight in place, only to have it scrapped at the last minute. 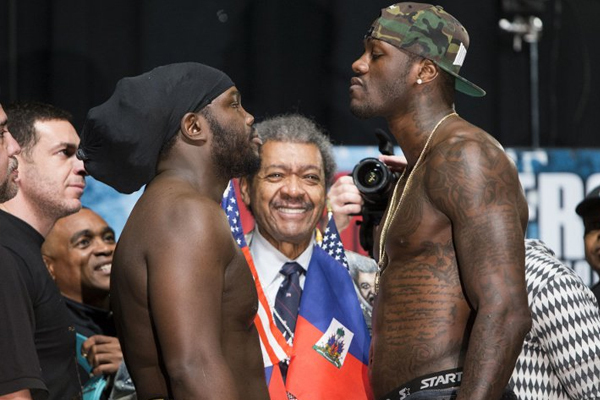 Instead, Wilder will face Stiverne on November 4. Since losing to Wilder, Stiverne has fought just once, and not at all in nearly two years. In November 2015 he won a close decision against journeyman Derric Rossy, getting dropped to the canvas in Round 1. If Stiverne was a top-10 heavyweight in 2015, he certainly is not one right now. Still, under the circumstances, I can understand his selection as a replacement opponent. There is at least some history behind this matchup. But Stiverne was far from competitive against Wilder last time. It seems unlikely he will be after nearly three years of inactivity.